HealthDay News — Improvements in training, clinical practice, and communication related to neurotoxicity associated with general anesthesia in young children are needed, according to research published in Pediatric Anesthesia. Christopher G. Ward, MD, of the Children’s Hospital of Philadelphia, and colleagues sent a 22-question online survey to members of the Pediatric Anesthesia Leadership Council and the Pediatric Anesthesia Program Directors Association. The survey was divided into sections on Faculty/Trainees, Parents, and Non-Anesthesia Providers. Survey responses were solicited by e-mail with follow-up e-mail reminders. 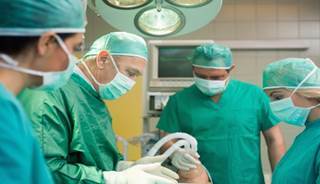 The researchers found that U.S. programs for pediatric anesthesia lack consistency in their approach to managing the topic of anesthesia-related neurotoxicity among pediatric anesthesiologists, pediatric anesthesiology residents, pediatric anesthesiology fellows, and their non-anesthesia medical and surgical colleagues. Policies and materials for discussing this topic with parents also are lacking. Ward CG, Hines SJ, Maxwell LG, Mcgowan FX, Sun LS. Neurotoxicity, general anesthesia in young children, and a survey of current pediatric anesthesia practice at US teaching institutions. Paediatr Anaesth. 2016;26(1):60-5.